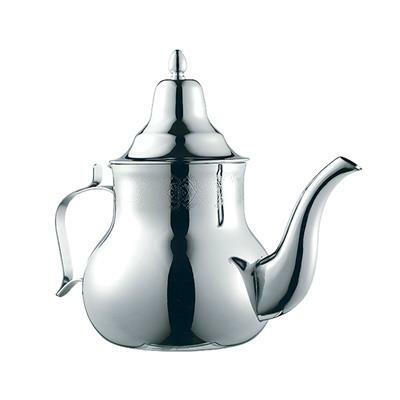 The authentic Moroccan tea experience is now yours with this stainless steel tea pot. Perfect for serving tea, coffee and other hot beverages, the long spout helps airate your drinks, while the wide base provide stability. • Stainless steel jug with unique lid and ergonomic handle. • Suitable for both hot and cold drinks.